One of the designers of the first electric car was also involved in designing and building Thrust 2, which held the land speed record from 1983 to 1997. Did you know that one Isle of Wight resident was involved with each of these remarkable, world-leading achievements? If you had been involved with any one of these pioneering projects, you’d be pleased as punch, but Ryde resident John Ackroyd - Ackers to many - is brilliantly talented and importantly, open to any opportunity that he came across. John started his working life at Saunders Roe, an apprentice who lived on that small picking that life brought with it, supplementing his meagre wages where he could, but all the time eagerly gobbling up all the skills the renowned engineering company had to offer. The Isle of Wight has been a place of amazing innovation over the years and the Island’s proud engineering history reaches back a long way, across many companies. Saunders-Roe was a powerhouse of engineering in England, starting off as S.E Saunders in water-borne craft, particularly high speed racing craft, they later took the opportunity to move into wider engineering. John was quickly noticed as a man of strong talents, becoming involved in the 1950's ground-breaking projects such as the earliest of mixed jet and rocket propulsion fighter jets - the experimental SR.53 and SR.177. He later also worked on an early Hovercraft competitor, the Cushioncraft (subsidiary of Britten Norman) but on the St Helens Duver. This pioneering/early work with jets led John on the path of his bold idea - using a jet engine to propel a vehicle faster than had ever been achieved - to break the land speed record. We’ll come to that soon. John’s next major achievement was his involvement with the Enfield 8000 - the first production electric car. Of course, these days electric cars seem to be the obvious future for vehicles, but back in 1973, when John joined a little company on the Isle of Wight called Enfield Automotive, it seemed like science fiction. Tesla Motors’ Elon Musk was a mere two years old when John's design was being used to build this first electric car in a factory in Somerton, near Cowes, here on the Isle of Wight. The company, Enfield Automotive, backed by a wealthy Greek shipping tycoon John Goulandris, had beaten major companies including Ford to win a competition run by the United Kingdom Electricity Council in 1966, to build an electric car. The Enfield 8000, as it was named, was designed as an electric-powered city car with a 55 miles range and a top speed to 40mph. John designed its tubular space frame chassis. They were initially built at Somerton Works, Cowes, with many people employed on the Island. With the global oil crisis of 1973, its timing was spot on, but a combination of the Enfield being too far ahead of its time, and its cost ~£2,600 - the equivalent price of two Minis - by 1976 productions had stopped. That does take away from what an amazing, creative, forward-looking, engineering achievement it was - all created on the Isle of Wight. Examples of the Enfield are still running on the Isle of Wight, with Barry Price of Price’s Accident Repair Centre owning a number of the 8000 models, as well as some of the specialist versions. Bringing the Enfield up to date, in 2016 a motoring journalist, Jonny Smith, converted an Enfield, installing new batteries and a roll cage to transform it into Flux Capacitor, the World’s fastest street-legal Electric Vehicle. He succeeded, on a quarter mile it was faster than a Lamborghini Aventador, a McLaren 650S, a Porsche 911 Turbo S and even Tesla’s Ludicrous-Mode-equipped P90D. We mentioned John’s experience with early jet fighters at Saunders Roe and the designs he created in his own time, to use a jet engine to power a vehicle. In the next chapter in John’s life, those plans were to be combined with Richard Noble, a man who had the ambition to become the fastest human on earth. Not only did they succeed, but the Land Speed record that Thrust 2 gained would stand for nearly 14 years. It all started while John was working as a deckchair attendant on the beach in Ryde in 1977, he responded to a newspaper advert: “Wanted - 650 mph Car Designer.” This brought him together with an ex-RAF pilot, later the project's public face, Richard Noble. Happily Richard was able to get his hands on a disused 35,000 HP Rolls Royce Avon jet engine from an English Electric Lightning Fighter - the first British plane to fly faster than twice the speed of sound, MACH 2. To say the budget on this was small would be somewhat stretching it. Happily, for John, none of his world-leading projects were ever about the money. They were about the challenge: To use creativity, engineering and flashes of genius (not that he'd describe it that way) to achieve something no-one else had been able to do. This was amply demonstrated by the initial budget for Thrust 2 - £175! Needs must, so John’s first designs and drawing plans for the future world-beater were in a derelict kitchen, in a condemned house at Ranelagh Works, for the manageable sum of £5 rent a week. If he wanted to speak to anyone he had to hop on his ever-present bike and ride a quarter of a mile to the nearest local phone box with a pocket full of change. Photocopying was six miles away. It just shows so much determination. After this Ackers was joined by other skilled engineers from the Island (Eddie Elsom, Ron Benton, Brian Ball and Norman Willis). Renting a shed from some boat building friends nearby in Fishbourne, John set about turning his designs into reality by building the framework of Thrust 2. In John’s words, "Richard Noble was based in London - where the money was. I was based on the Isle of Wight where the skills were." This was proven as John and his team used the engineering prowess of many small companies around the Island - remember, every item that made up the world-beating car was specifically created, with every nut specified and engineered to aircraft standards. Richard later raised more money, but the whole project was always done on a shoestring. As John put it in his book, Jet Blast and the Hand of Fate, "Our World Land speed contender was being built by a collective cottage industry and contagious enthusiasm£. As a further testament to John’s skills, there was no room for error. As he said, "A record car must be right first time - it is both prototype and final product." The frame of the car was built in a small workshop on the Isle of Wight that needed the front wall to be demolished, so they could get it out. Thrust 2 went on to capture the Land Speed World record reaching 633.468 mph (1,019.468 km/h) in the Black Rock Desert in Nevada, US, on 4 October 1983. It stood for 14 years. Never one to rest on his laurels, John went on to do further extraordinary things, like designing a toilet that could be used in the zero-gravity of space. His next great shift was to get involved in the world of hot air ballooning. Being John, it was further record breaking stuff. John worked with the team on a balloon, Stratoquest, that in 1987 reached the then-highest altitude, nearly 12 miles high. Further projects included Virgin Atlantic flyer - the first hot air balloon to cross the Atlantic and Pacific Flyer, a balloon that would contain 80 Tonnes of air when inflated, that ended up being the longest, fastest (nearly 200mph) manned balloon flight. 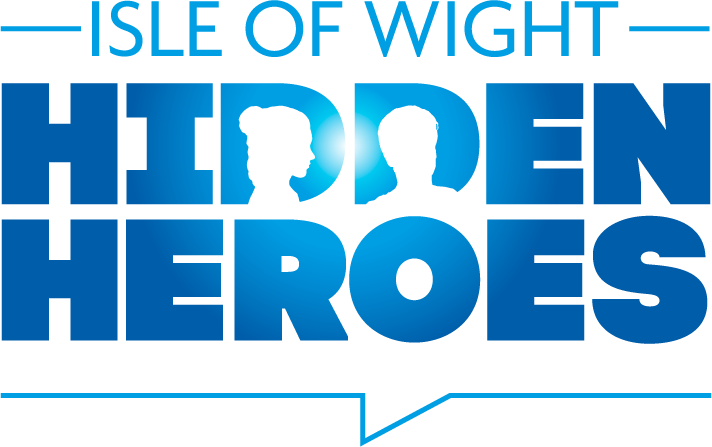 After reading that much-shortened version of John’s achievements there can be little doubt why John is an Isle of Wight Hidden Hero. John and the many other Islanders that worked with him are the embodiment of the truth that anything can be achieved on the Isle of Wight - and that the Island is bursting with capability and creativity. Credits: Many thanks to David J. Williams for his knowledgeable guidance on John's achievements. You can find out more about John Ackroyd at the major Quay Arts Exhibition between 10th February - 24th March 2018.